In recent years, a string of releases by the library has shown just how close Graham and Nixon were — even, and sometimes especially, during the embattled president’s darker moments. In one notorious White House conversation that Nixon secretly recorded, a version of which was first released in 2002, the president and Graham descended into a lengthy anti-Semitic exchange about how Jews supposedly controlled the media. The release of key sections of Haldeman’s diary adds fuel to this historical fire. Haldeman, who served as Nixon’s top advisor, gatekeeper and note-taker, left a meticulous record in his written and audio diaries. Excerpts were published shortly after his death in 1993, in the book The Haldeman Diaries: Inside the Nixon White House, which he edited, leaving out key passages about Graham and Nixon. Some parts of Haldeman’s diary were kept secret because of privacy and national security purposes, and also for whatever unknown reasons Haldeman chose to keep them out of his book. The new release fills in some significant blanks, including several previously undisclosed mentions of Graham’s role in the inner workings of the Nixon White House. Haldeman’s diary points to the two-way traffic in messages between Graham and Nixon, and Graham’s communications with Haldeman and other ranking White House staffers. Graham would call the president and his advisors with tips, insight and advice, and they’d respond by keeping Graham in the loop about major policy matters while seeking his counsel. Selections from the material about Nixon and Graham in the new release cover a two-year stretch starting in early 1971 — a period in which the Nixon administration saw both its biggest accomplishments and the beginnings of its demise. Much of the new material about Graham and Nixon deals with quick missives between the preacher and the White House. In other newly released recordings, Haldeman noted Nixon’s directives to brief and consult Graham on the president’s outreach to China (both before and after Nixon’s historic visit there), as well as turning points in the Vietnam War and domestic political battles. 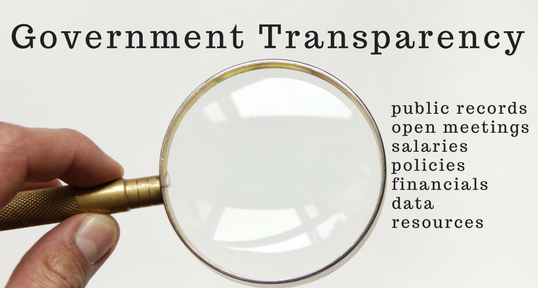 In addition to offering details about Graham and Nixon’s steady and quick back-and-forth, the new records illuminate some of their more in-depth communications. In August of 1971, Nixon brought Graham along for a dinner cruise on the presidential yacht on the Potomac River. They were joined by Haldeman, Attorney General John Mitchell, Nixon’s Chief Domestic Advisor John Erlichman, National Security Advisor Henry Kissinger, Presidential Counselor Donald Rumsfeld, and Special Counsel Harry Dent. Haldeman’s previously published account described much of the conversation that night, which, he said, was “totally dominated” by Graham and Nixon. During the fateful meet, Graham said that Nixon’s re-election was paramount both for the fate of the country and the success of Graham’s evangelical movement, Haldeman recalled. The chief of staff gave a longer telling in his audio diary that night, which included this passage stemming from a Billy Graham Crusade in California that didn’t make it into Haldeman’s book: “[Graham] expanded on that to say he feels very strongly that this turning to Jesus and religions amongst the college-age youth is a very strong phenomenon that is growing and will become a very powerful and important factor — politically and otherwise. This expression of Graham’s thoughts on how Nixon-era politics could advance a religious upswing in America has gone unheard until now. A little more than a year later, Graham returned from a religious crusade that took him to India, Iran and Pakistan, countries caught up in the chess game of the Cold War that were of peak interest to Nixon. Graham called Haldeman to share a lot of thoughts, pivoting between the geopolitical matters at stake and how Nixon should handle the religious calculus during the president’s upcoming inauguration ceremony. 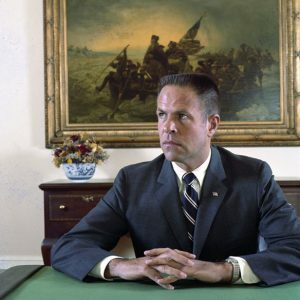 Haldeman stood by the president until he was effectively fired in April 1973, as part of the Nixon administration’s last-ditch wave of resignations surrounding Watergate. Oddly, when he edited his published diary shortly before his death, Haldeman left out any mention of Nixon’s enthusiastic participation in Billy Graham Day, which took place in Charlotte with much fanfare. The Oct. 15, 1971, celebration was one of Nixon and Graham’s greatest mutually beneficial joint appearances, and one of the few days that the ever-stoic Haldeman might have smiled on. Great to have religion and politics to mix, isn’t it? Still going on with these so-called “nonprofits”………………….